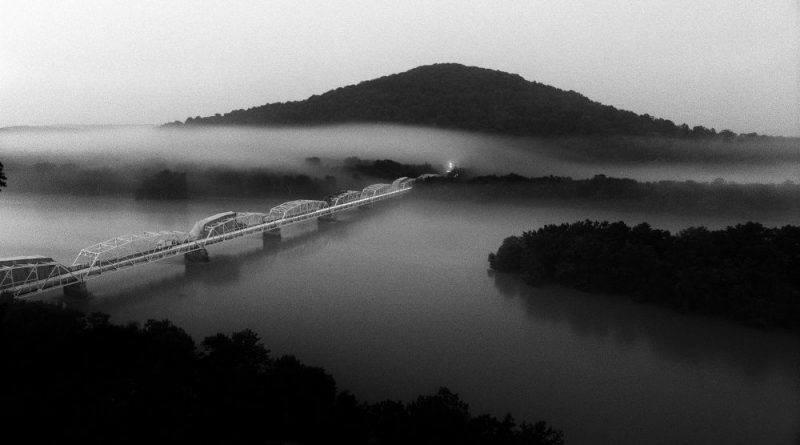 A New Potomac River Bridge? How About Two? Loudoun leaders are again looking for a way to get another bridge across the Potomac River, but it turns out the group holding the purse strings on regional transportation funding may already be one step ahead. In 2013, the General Assembly passed a bill that established a steady stream of transportation funding for Northern Virginia. The Northern Virginia Transportation Authority controls 70 percent of that money. In fiscal year 2017, the authority allocated $466 million of funding for transportation projects, including $20 million for the interchange at Rt. 7 and Battlefield Parkway in Leesburg. To fund a project, the authority must first list it in TransAction, its long-range plan for the region. The authority is working up an update to TransAction. Supervisor Ralph M. Buona (R-Ashburn) said he was chairing an NVTA committee meeting on TransAction last week. But supervisors have also hastened to point out that TransAction is a wish list that doesn’t take into account funding limitations—or political realities. Maryland and Montgomery County have long opposed the idea of a new river crossing, and no bridge is possible without Maryland’s cooperation. Nonetheless, an ad-hoc committee of Loudoun’s Economic Development Advisory Commission is taking another run at getting a new bridge, preparing a position paper to be ready in July. That report will likely include a survey of the many studies on the possibility and benefits of a new bridge that have already been done. The draft update of TransAction will be publicly released June 8, and is scheduled to be adopted in the fall. Those projects will then flow into the authority’s new six-year improvement plan, which will consider funding constraints. Loudoun is represented on the Northern Virginia Transportation Authority by Del. J. Randall Minchew (R-10), state Sen. Richard H. Black (R-13), Leesburg Mayor Kelly Burk, and County Chairwoman Phyllis J. Randall (D-At Large), who serves as vice chairwoman of the authority. The NVTA’s Planning Coordination Advisory Committee, which provides recommendations on the TransAction update, is chaired by Buona and counts among its members Leesburg Town Council member Ken Reid and Purcellville Town Council member Karen Jimmerson. This article was updated on May 12, 2017 at 12:42 p.m. to correct an error regarding the role of the Planning Coordination Advisory Committee. New Potomac River Bridge Back on the Table? A good idea, but politically impossible. Maryland simply won’t do it. In the meantime, the pictures are really pretty. Fifty years late when I was active in Fairfax transportation we were ready with the Three Sisters Bridge over Roosevelt Island. The buildup on the Palisades side Maryland now would displace so many that a Potomac bridge is an impossible dream. Forget it. Chain Bridge needs to be replaced and MacArthur Blvd needs a planning study. My suggestion Canal Road needs to be moved to the shoreline with a direct connection to Key Bridge to a new Whitehurst in Georgetown double deck the entire road and this will feed traffic from Maryland and Virginia through an upgraded MacArthur road to keep traffic moving. without displacements of residences. I am an expert on the evacuation of Washington DC and what I propose is an enabling plan. Attention Ralph,Phyllis, Sharon.